WELCOME TO LOWER PLAQUEMINES PARISH! 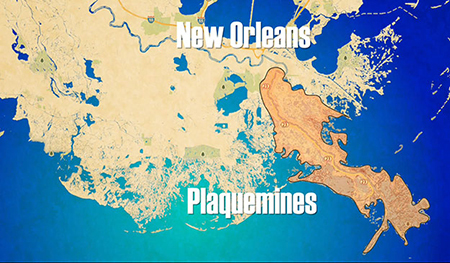 Plaquemines Parish was founded on March 31, 1807, when the territory of New Orleans was divided into nineteen parishes. The parish straddles the entire length of the Mississippi River from a bend just south of New Orleans (called English Turn), to the river’s mouth in the Gulf of Mexico. The name “Plaquemines” derives from Louisiana French Creole and the Atakapa word “piakimin,” meaning persimmons, which is a type of edible fruit originally found in the area. To this day, Plaquemines Parish is known for its abundant citrus orchards. The annual Orange Festival is one of the community’s most anticipated events of the year. History is abundant here. 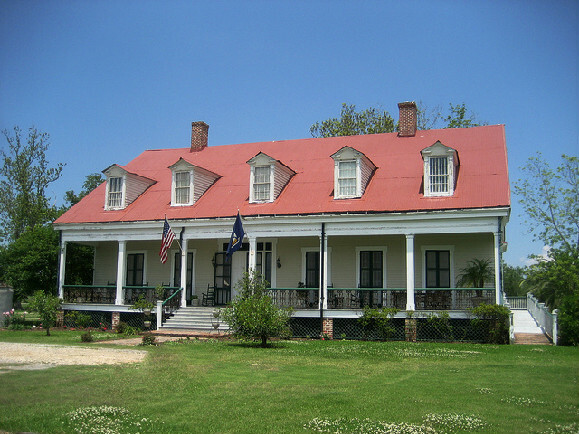 Numerous historic landmarks such as Woodland Plantation and Fort Jackson are popular with residents and visitors alike. Another little-known fact about Plaquemines Parish is that is served as the site of the very first Mardi Gras celebration in the United States. On March 3, 1699, Pierre Le Moyne d’Iberville settled about sixty miles below what is now New Orleans. This landing occurred on the date of Mardi Gras in France, so Iberville named the spot Point du Mardi Gras and named the small tributary nearby Bayou Mardi Gras in honor of the holiday. Lower Plaquemines Parish is widely known as one of the best hunting and fishing destinations in the world. Since Plaquemines Parish has the highest combined land to water ratio in the State of Louisiana and a central location where the Mississippi River meets the Gulf of Mexico, it has been dubbed a true sportsman’s paradise with its numerous fishing and hunting grounds. Plaquemines Parish is also a major contributor to Louisiana’s seafood industry with its large-scale harvesting of shrimp, oysters, crabs and fish each year. Numerous small towns and villages line the river down the length of Plaquemines Parish including West Pointe a la Hache, Port Sulphur, Empire, Buras, Boothville, and Venice. Each of these towns offers residents and visitors the quiet, rural feeling of country living surrounded by natural beauty, as well as easy access to recreational opportunities.